People have bad feeling about the recent crash of the cryptocurrency and thinks that the market will be a failure by the article will detail you why you need to have a strong heart the cryptocurrency industry and why you need to know that they won't crash. Over 2.2 billion individuals get access to the internet or mobile phones but can’t access the traditional yexchange system at the moment. These individuals are very ready for the cryptocurrency market to keep operating safely, users who are fit for the cryptocurrency industry to continue in good state without any disruption attached to it are always working hard to see that the dream really comes through since the industry is really helping their businesses one way or the other, and at same time they are lots of percentage for every cryptocurrency trader, regardless of the irregularity that is been faced in the industry right now, which is the main reason why most people, industries and nations are against the industry, people still make profits from the market by trading or working for platforms related to cryptocurrency, so the currency have really brought a whole lot of job opportunities into the market, and have made payment so easy and fast for internet marketers without any stress of procedures attached before making a payment or receiving the currency. Looking into the Kenya’s M-PESA system, a mobile phone based money transfer and micros financing servicelaunched in 2007 by Vodafone for safaricom and Vodacom, the largest mobile operator network in Kenya and Tanzaniarecently announced a bitcoin device, with one in three Kenyans now owning bitcoin wallets. 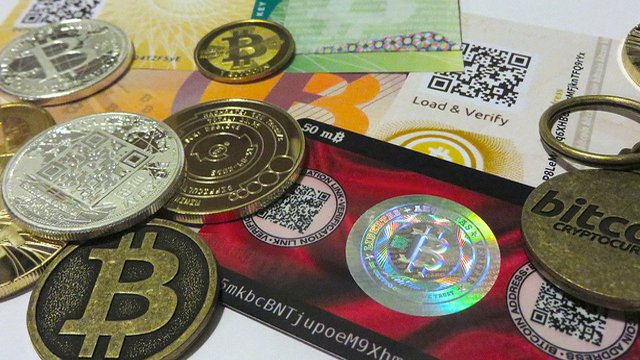 If 1/3 of Kenyans have a bitcoin wallet that’s a huge turn up from the country and the country is really utilizing the cryptocurrency industry, to an extent of having their largest mobile network operator investing into cryptocurrency. A second thought for a company that gives you full access to their platform without any restriction of any kind, no account is subjected to any rule that will terminate the account maybe for the reason of misuse or any terms, users are free to navigate the platform without any fear of their assets being freezed by the owners of the company, unlike other companies that offers online payment that have their users always complaining of their accounts being terminated for no just cost, then the user will still have to ratify the case before accessing their asset, such platforms really delay their users transactions I don’t think such issue is been encountered by cryptocurrency users have their private key and the corresponding public key that makes up the “cryptocurrency address” that is been used to receive money, nobody will gain access to it unless you misplaced it or logged your details into a phishing site, that can be annoying so you have to take your wallet very confidential and careful too because all transactions related to cryptocurrency is a onetime payment no charge back attached to it too, most merchants can claim to be secured but giving out your credit card to platforms can sometimes be bad because of cyber attackers who can break into the platforms and at same time holders of the currency are entitled to send exactly what they want to their recipients with no further information. Furthermore I agree that this Bear market will take BTC to the very peak we never imagined, the market share price keeps on falling but the situation still encourage selling of cryptocurrencies, no matter the condition traders still transact well at rates that will definitely benefit them, although the investors suffers the loss but what matters is the increase in selling or marketing, this don’t actually happen when the market is cheap it happen when the market is expensive and overvalued. 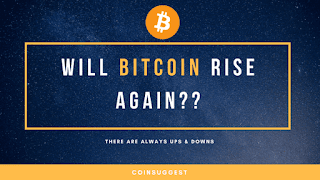 With that the market will need some support and also come together to recover the market to its normal state, the fall of the market can still be occurring until the valuation of the market becomes more appealing once again for people to continue trading at a cheaper rate, the Bear market is still active as the cryptocurrency is taking a very huge fall to the ground, looking at Bitcoin cash and Ripple have downsized by more than 70 percent in 2018 while Bitcoin is down by 48 percent, Litecoin fell 47 percent and Ethereum 44 percent lower since the beginning of the year, the statistics above really shows how bad the market became this year after a success last year. 2017, the market is very scary this time around more reason why people think that the market will definitely crash but then you will have to understand that 2018 is becoming the year of infrastructure and the year of ethereum competitors. You must not wait for the market to be stable before you profit, you have to follow up the market and know the latest trend in the market, change your plans to a more profitable one, when the market changes to a bad state they is still money to be made in creaming profits off small price movements. You can try reselling for a higher profit while you wait for the stability of the market to emerge; all you need is a little free time and willingness to grind it out through frequent buying and selling. The strategy is also like other trading strategies it has its own risk attached, all it takes is one major fail for your hard day’s struggle to be undone, during the bear market you have to monitor the market, look for coins that dropped by some percent of around 70% and invest in them if you are sure they will rebound in big folds, because most coins has been abandoned by users and investors while the platform is undergoing some maintenance, most crypto traders are impatient I see that everybody wants it when its profitable and doesn’t stay when they is some issues to settle in the market, don’t fail to keep a close eye on the social feeds of platforms you feel will be profitable so that you will know when they launch their coin, have some realistic experience during this period, if the market is down by 10 percent expect to be down by 10 percent if you have a portfolio of stocks. If you have an aggressive holdings expect to be down more than 10% if you are down by 5 percent that’s a great one you will have to be very happy, while no one wants to lose money, to lose less than the market when it is undergoing maintenance is a good thing. However, more than quadrillion value of stand-by in wall street is unreasonable assumption since its already inflowing into market while the exact numeric value cannot be seen, the volume of BITFINEX hidden order show that the investment of funds is always increasing, moreover most foreign investors that have lots of money of about hundred million to billion amounts of funds, buy their coins by applying the “Hidden” attribute to a large volume order to completely hide the submitted quantity from the market. Thus the hidden order type is simple to add to the main trading window within TWS and needs a simple check-mark in the box in order to activate, and also checks the hidden attribute in the order line. Your order is submitted but the evidence of the order is hidden from the market. It is already happening, that’s why the bull market is now into system and its generally purpose is to take place when the economy is strengthening or when it is already strong, it occurs together with GROSS DOMESTIC PRODUCT and a drop in unemployment and will often coincide with a rise in corporate profits. Investors confidence will also be on the rise, like having a move in the market, even users will also be on the safe side where they will become a positive overall demand for stocks, alongside the overall tone of the market, also there will be a general increase in the amount of the Initial Public Offering (IPO) activity during Bull market, the rate of supply will be very down or weak while the number of demand will be strong, just like having a lot of careers than time, in this case you will numbers of investors who are eager to buy securities, at same time few will be want to sell the service. In this type of market, the investors are the ones who are out to purchase the service in other to gain profits. Investors who wants to benefit from the bull market will have to buy earlier so as to have more advantage when the prices and sells them when they’ve reached to a very expensive rate, But then determining the moment they will be a peak and a doom in the market is not certain, most losses will be minimal and are usually temporary. The opposite of Bull market has been explained above which is the Bear market, the reason why the market makes use of this two to describe the market is from the tendency of its way of fighting. A bull thrusts its horn up into the air, while a bear swipes its paws downward. It’s a kind of metaphor for the movement of a market If the trend is up, it's a bull market. If the trends down, it's a bear market Bull and bear markets often coincide with the economic cycle, which consists of four phases: expansion, peak, contraction and through The onset of a bull market is often a leading indicator of economic expansion. Because public sentiment about future economic conditions drives stock prices, the market frequently rises even before broader economic measures, such as gross domestic product (GDP) growth, begin to tick up. Likewise, bear markets usually set in before economic contraction takes hold. A look back at a typical U.S. recession reveals a falling stock marketseveral months ahead of GDP decline. Seems most ICOs initiates presale also known as a Pre-ICO, that will be used to raise money for the whole ICO campaign and product. The ICO and the presale have a capital-raising target, but the pre-ICO are often with lower targets compared to thr ICO, also they usually occur a month or two before the Initial Coin Offering will be initiated, sometimes they can be ready to begin only a week or two before the ICO. The strategy behind it is to know if the user base will invest or not. It measures the Initial hype but the initial raised capital is not included in the total raised capital. They can be a confusion in determining how much that is been rose and how much token that is in circulation. These events have a minimum amount and a maximum amount of raised capital. PRE-ICO events are usually shorter than ICOs. Some of these can be stopped early if the necessary hard cap is reached earlier. Also tokens are likely to be cheaper on the PRE-ICO with bonuses and have a separate smart contract. This disclosed by the project themselves to avoid a mixture of Pre-ICO funds with the main ICO. In conclusion the cryptocurrency market has come we have to embrace it and look for a way to fix it especially for the regulation so that it will be safer for the users, instead of going against the market this will be a better options.